Cuddle up with your favorite childhood memory while donning this Sock Monkey necktie. This playful Alynn Neckwear tie features multiple poses of a sock monkey agains... read more Cuddle up with your favorite childhood memory while donning this Sock Monkey necktie. 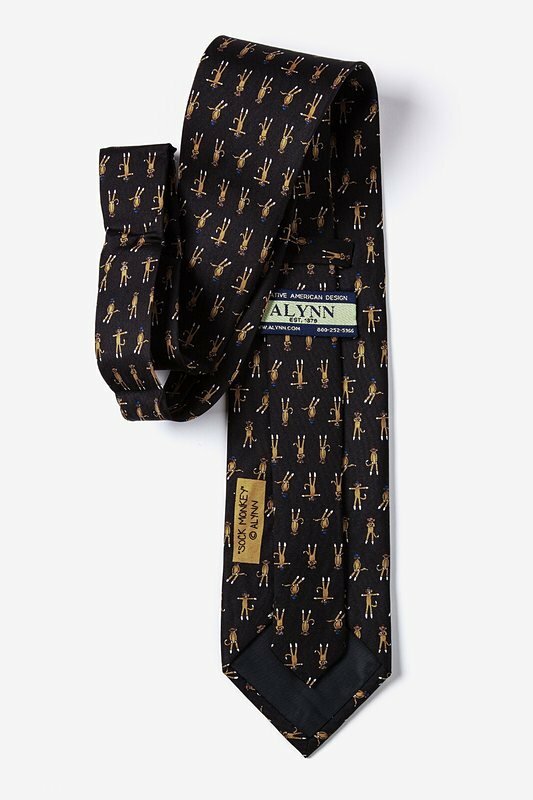 This playful Alynn Neckwear tie features multiple poses of a sock monkey against a black background. 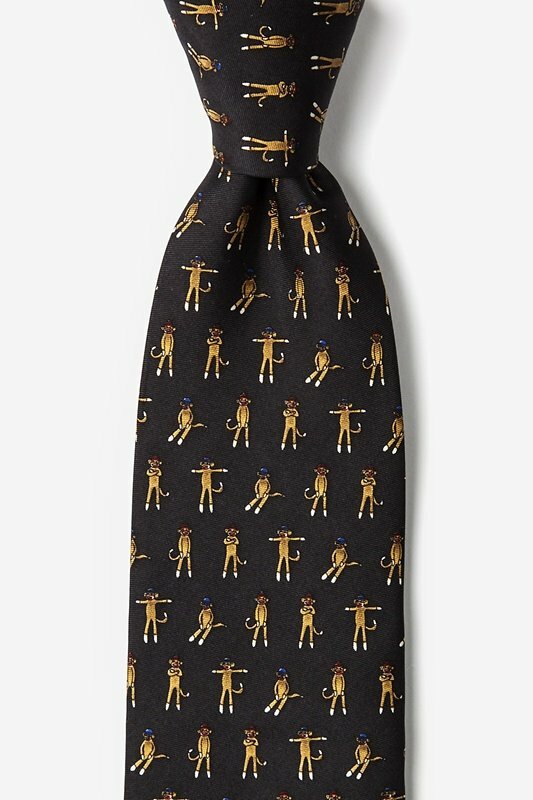 Constructed of 100% silk, this grown up tie will allow you to connect with your inner child!